All fine jewelry purchases from SuperJeweler.com come with a Lifetime Guarantee. Your purchase includes a Lifetime Guarantee against defects that may cause loss or damage to your jewelry's setting or accent gemstones and/or diamonds. In the case of diamond and/or gemstone rings, our guarantee also includes a one-year replacement guarantee against the loss of your jewelrys’ center diamond or gemstone. 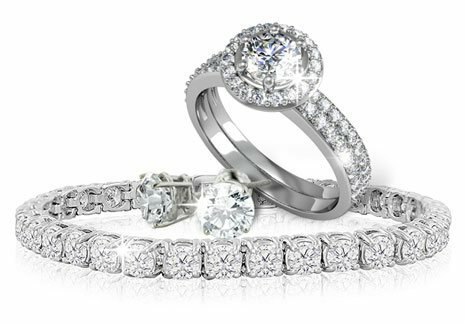 The Limited Lifetime Guarantee covers all products that contain diamonds and/or gemstones, but does not cover Fashion Jewelry. SuperJeweler will replace any side gemstone or diamond lost at any time during the LIFETIME of the purchaser or gift recipient, and will replace any center gemstone or diamond lost in the first ONE YEAR of ownership. If due to manufacturer's defect you ever lose an accent gemstone or diamond from your jewelry item, SuperJeweler.com will replace that accent gemstone with a gemstone of similar quality. If your setting is ever damaged, SuperJeweler.com may repair, remake or replace the setting or center gemstone, at its sole discretion, at no or minimal cost to you. If you lose a side gemstone or your setting is damaged, you must send the jewelry back to SuperJeweler.com, with your original purchase receipt. If you are unable to provide the original purchase receipt, you must include the name of the original purchaser and the approximate date of purchase. If your center gemstone is lost, chipped or broken from/in the original setting within one (1) year of purchase, SuperJeweler.com will replace the gemstone at its cost. If you lose, chip, or break your center gemstone within one (1) year of purchase, or if your center gemstone is ever chipped or broken, you must send the piece back to SuperJeweler.com, along with your original purchase receipt. Center gemstone replacement is limited to once per lifetime of the purchaser. Replaced center gemstones are not warranteed. This guarantee does not cover damage to jewelry other than that incurred in normal wear. This guarantee does not cover lost jewelry. Repair or service performed by a third party other than SuperJeweler.com will void this guarantee. This guarantee is non-transferrable. All guarantee claims under the SuperJeweler.com Lifetime Guarantee must be made by the original purchaser or the original gift recipient. This guarantee does not cover losses or damage by any successor owner of the jewelry, including but not limited to, second-hand purchasers, heirs or assigns. You must provide identifiable pieces of the jewelry for SuperJeweler.com to honor this guarantee. If SuperJeweler.com determines that it did not manufacture the original piece, it is under no obligation to honor this guarantee. Lifetime Guarantee does not apply to non-jewelry purchases.